It’s that time of year again: a nasty cold is making the rounds at your office, and one of your kids has the flu. How do you stay healthy in the midst of a sniffling, sneezing world? The answer may lie in your pantry: Certain mushrooms can strengthen your immune system. Incorporate shiitake stir-fries or reishi tea into your regular diet, and maybe you won’t have to call the doctor in the morning. For more than a millennium, mushrooms have played an important role in oriental medicine, whose pharmacopoeia draws on 200 varieties of fungi. Among the most esteemed are tonic mushrooms, which are believed to increase the body’s natural resilience as well as promote longevity. Until recently, Western medicine showed little interest in boosting the immune system, preferring to bomb the invaders rather than fortify the defenses. But now researchers both East and West are verifying that certain mushrooms indeed act as immunomodulators, enhancing the function and activity of the immune system. While many of the studies have dealt with serious immune-system problems such as cancer and aids, these mushrooms can also be safely used to ward off everyday ailments. The immune-boosting components of the tonic mushrooms appear to be certain polysaccharides, which are complex chains of simple sugars. While their properties are not well understood, one theory is that they resemble molecules found in bacteria and thus stimulate immune responses. Other natural immune-system enhancers that contain polysaccharides include the herbs astragalus and echinacea. Shiitake, maitake, zhu ling, and reishi-are available in a variety of forms at natural-food stores and oriental markets. You can even grow your own. Shiitake and maitake are delicious and can be used in any dish that calls for mushrooms. Zhu ling and reishi, on the other hand, are better taken as teas or in supplement form. Is probably the most familiar of the medicinal mushrooms, being increasingly popular for stir-fries, sautŽs, and soups. Until recently, this dark, flavorful mushroom was primarily grown in Asia, but it is now commercially cultivated in the United States on logs or in sawdust. In traditional oriental medicine, shiitake has been used for increasing vitality, improving circulation, and treating the common cold. Over the past twenty-five years, a number of studies have shown that a polysaccharide in shiitake called lentinan is a potent immune-booster. Lentinan is now used in Japan to counter the adverse effects of cancer chemotherapy, and researchers in Hungary have found that it can discourage the spreading of lung-cancer cells. Eritadenine, another compound found in shiitake, lowers blood cholesterol. Shiitake, available in natural food stores, oriental markets, and some supermarkets, can be cooked either fresh or by reconstituting dried mushrooms. 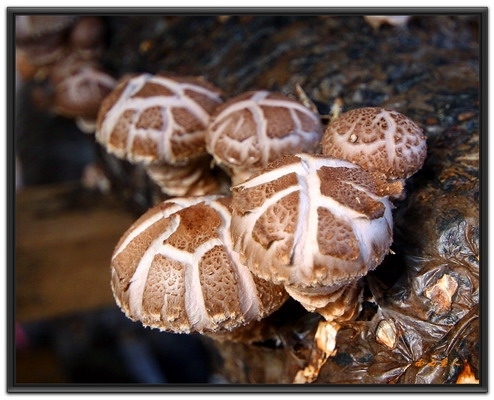 Shiitake is also available in extracts, capsules, and powders. Is known to US mushroom hunters as “hen-of-the-woods” because it grows on hardwood stumps in fan-shaped clusters, which can weigh up to 100 pounds. Although not uncommon in the forests of eastern North America, maitake is rare in the wild in Japan. Now successfully cultivated, this delicious mushroom is sold in groceries throughout Japan, but maitake is just beginning to be commercially available in this country. Maitake may also have applications for the treatment of aids: Japanese researcher Hiroaki Nanba has tested a maitake extract against hiv in vitro and reported that it prevented destruction of T-helper lymphocytes (which stimulate other white blood cells to produce antibodies) by as much as 97 percent. Dried maitake, which can be reconstituted and used in cooking, is found in some natural-food stores. Maitake teas, powdered extracts, and tinctures are more widely available. 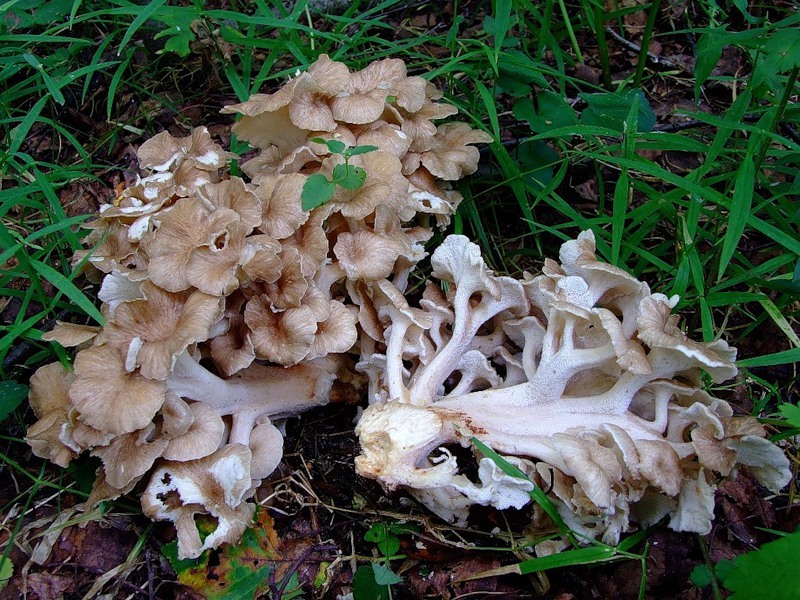 Is a close relative of maitake, and this fleshy mushroom, which grows in clusters on tree stumps in some parts of the north-central and northeastern United States, is equally tasty. However, the medicinal parts of the mushroom grow underground in hard, tuberlike masses that are not edible. In traditional Chinese medicine, zhu ling has been used as a tonic and as an ingredient in many herbal formulas. Modern studies indicate that zhu ling can boost immunity, and researchers in Beijing found that extracts of zhu ling slow the growth of lung-cancer tumors in animals and humans. Interestingly, these extracts did not work against cancer cells in test tubes, suggesting that zhu ling stimulated an immune response against the tumor. Currently, the Chinese are using extracts of zhu ling in the treatment of at least eight kinds of cancer. 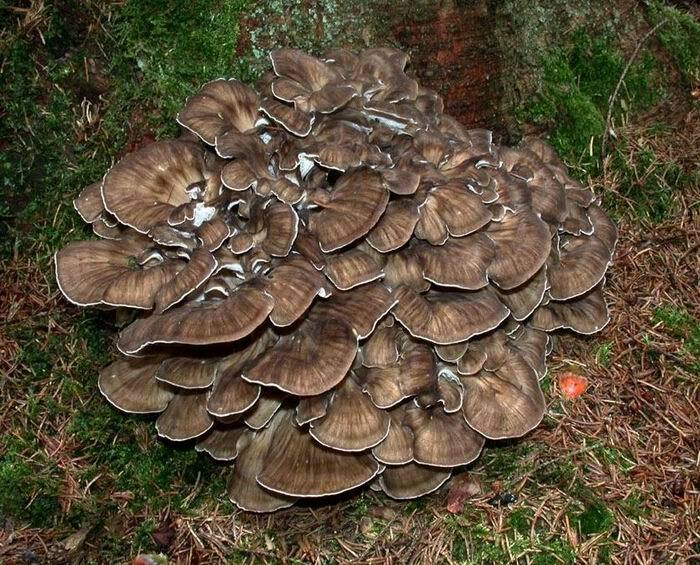 The dried roots of zhu ling can be bought in Chinese markets (under the name Polyporus) and some natural-food stores. Andrew Weil suggests chopping the roots and boiling them for twenty to thirty minutes to make a pleasant-tasting tea. Zhu ling is also available in powdered extracts and tinctures. A shelf fungus that grows on trees in southern oak forests and northeastern maple groves, has a shiny, reddish- brown top and a white underside. 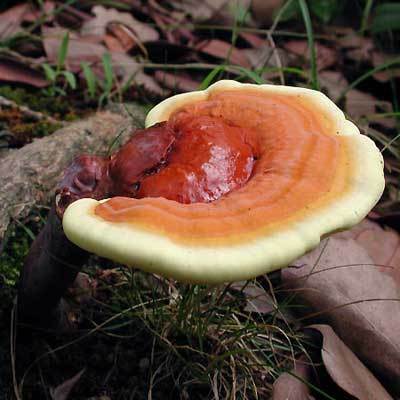 Due to its bitter taste, reishi is used infrequently as a food. Willard also prescribes the mushroom for its calming powers: “There’s a formula in China that translates as Îto protect an academic from his own brain,’ and I find an awful lot of people in my practice have that issue; that is, they get a runaway brain, like a dog chasing its tail. Reishi is very good for that.” Herbalist Christopher Hobbs, author of Medicinal Mushrooms: An Exploration of Tradition, Healing, and Culture (Botanica Press), uses reishi similarly with his California patients, as a strengthening relaxant for run-down and anxious people. 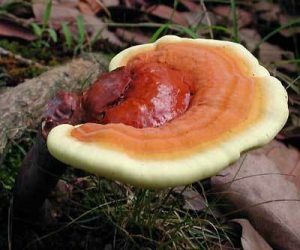 Reishi is available in natural-food stores and oriental markets in a number of forms: dried whole and in a variety of powders, pills, extracts, syrups, or teas, alone or in combination with other herbs. Hobbs recommends boiling the woody, fibrous mushroom to make a soothing tea. These four tonic mushrooms just scratch the surface when it comes to medicinal mushrooms. Enoki, the white, sproutlike ‘shroom found in Japanese salads, contains a polysaccharide called flammulin that’s been found to have antitumor properties in animal studies. Andrew Weil often recommends that people with cancer or a high risk of cancer eat enoki regularly. Wood ear, also known as mo-er or tree ear, contains compounds that help thin the blood. And then there’s the case of the previously lackluster Chinese runners who broke nine world records after using a tonic formula whose main ingredient was cordyceps, a mushroom that grows on the bodies of certain moth larvae. Although these runners may have been taking steroids as well as cordyceps, Weil suggests experimenting with the mushroom if you are generally weak or lacking in vitality. All of these mushrooms are becoming more readily available, including the tonic mushrooms. So if you want to beat the next bug that comes around, consider an occasional dish of pasta with shiitake sauce, or keep a pot of zhu ling tea on the stove. Eat, drink, and be healthy.